Data released last year showed that only 68 percent of university graduates found full-time work within four months of finishing their degrees — the lowest rate on record. The bad news doesn’t end there, unfortunately. Even if you are luckily enough to nab a grad job, it turns out starting salaries have been declining for the past six years and they are currently at their lowest level ever recorded. A separate report by the Foundation for Young Australians (FYA) has found that “today’s young Australians are facing a very real possibility that their generation will be the first to be worse off than their parents.” According to FYA, a bachelor’s degree in 2016 costs two-and-a-half times more than it did back in 1991 and the rate of wage increases for young Australians is half the rate it is for the rest of the population. Over the past 10 years the government has increased the amount of money it spends on older people but decreased the amount it spends on people under the age of 25. 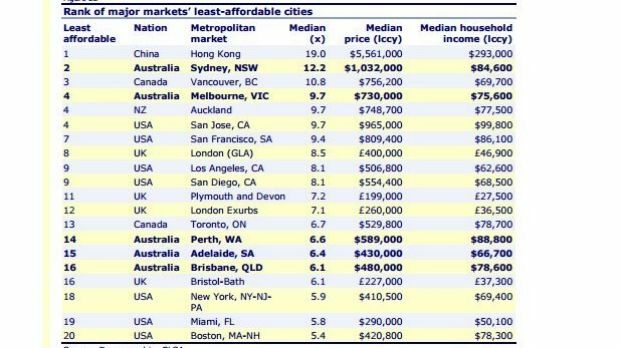 If you live in Sydney it’s going to take you 15 years to save up for a deposit on your first house. Back in 1985 it was only six years. If you’re in Melbourne it will take you 11 years, up from five. Better of renting, you think? Well average rental costs have increased 44 percent in the past decade, so you’re stuffed either way. Nothing stands in Trump’s way now, except for a corrupt old hag. Trump guaranteed the LGBTQ vote. If not illegal, isn’t this at least completely unethical? Why is every liberal youtube channel such cancer ridden with lies and deceit? No wonder race relations are so bad in America. No sign of the apocalypse, with the FTSE rallying to past February levels after initial drop. What an ugly campaign full of disgusting propaganda by their globalist shills. The madman did it. He dared to dream of a free America.